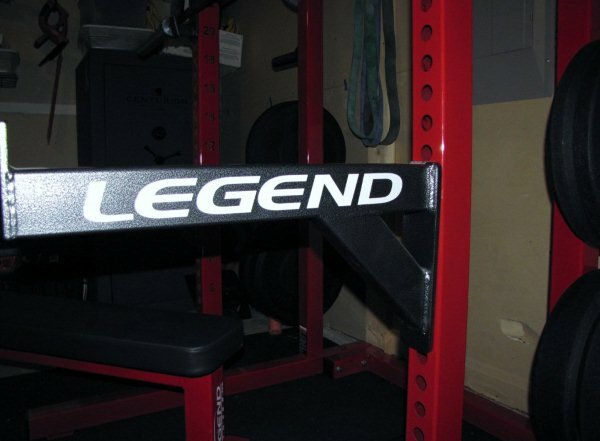 Legend Fitness 3142 Half Rack Review and photos by Texasred2k. 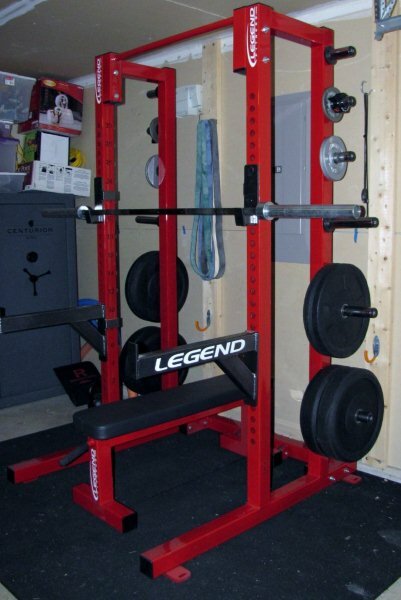 Having decided to buy a new rack and searching the rest of the internet, I decided on Legend 3142 Half-rack and 3100 Flat Bench. Waited 8 months to save my nickels, did all the research again, and still came to the same conclusion. Due to many factors, my workout area is only about six feet deep. I wanted a rack with weight storage that was tall enough to do standing presses in, but that would fit under my 8 foot ceilings. Having drooled many times over Kodokan's rack, I knew it had to be a Legend. I started shopping prices. 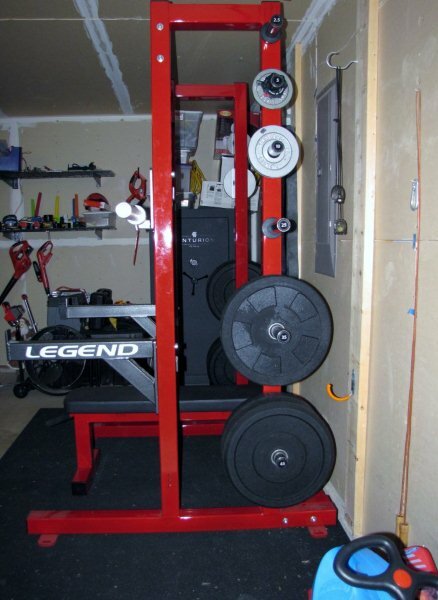 With shipping, the best price I found was through The Garage Gym Store. 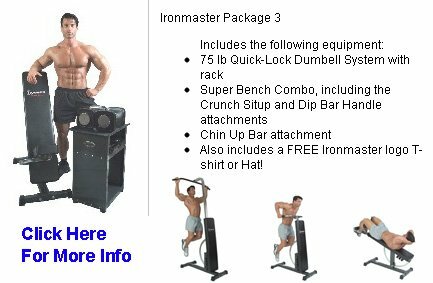 They were almost $200 cheaper than going through Legend Fitness directly. I e-mailed Kelly Smith to see if this was a mistake, but he suggested I order through GGS instead of them. I placed the order and had to pay in full. Lead time was to be 10-11 weeks. 13 1/2 weeks later, it arrived. 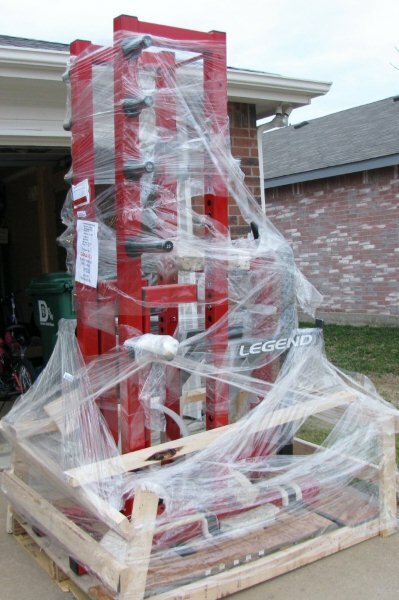 It was bolted to a pallet all wrapped in foam, bubble wrap, and plastic. Took it apart, moved it inside, and assembled it. The individual side frames were light enough to move by myself. My 11 yr old daughter helped with the assembly which took about 30 minutes. Most websites list it as being 44 inches deep, but it is 54. 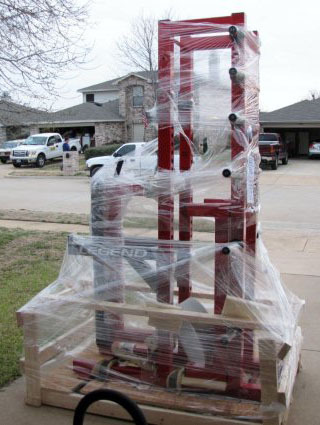 The spotter arms are listed as 28 inches, but that is total length. They actually extend from the front of the cage 24 inches. The 2 inch hole spacing works for me with changes in both spotter arms and j-hooks being fast and easy. They have changed the style slightly. Instead of stabilizer legs sticking out the sides in back, there are now large slotted tabs at each corner of the base. This both stabilizes the rack and gives the option of bolting it down. It is light enough to move single by myself (maybe 300 pounds), but I can hop up and down on either of the spotter arms (I weigh 210) with no problem. 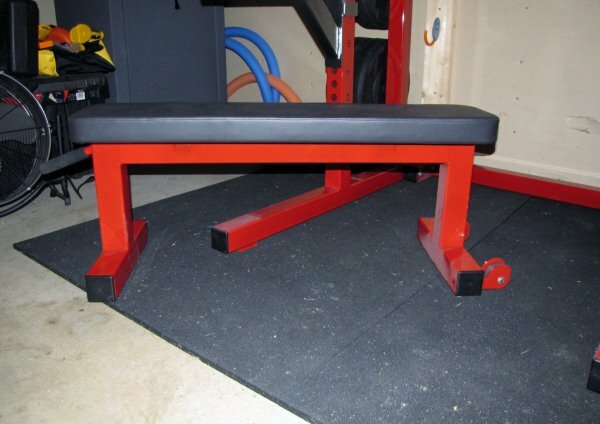 I went with the flat bench as I had owned an FID bench for years and never inclined or declined it. The bench is 19 inches high with a 10 inch wide pad. The foam is thicker, yet denser than my previous bench (hoist 4165). It is SOLID! It doesn't wobble the least bit getting on or off or while in use. I spent the extra $50 for the mobility package which adds wheels and a handle. The wheels are located so that if you roll it all the way against the back, rubber meets the metal instead of steel. The first two photos show how it was dropped off in my driveway. The side frames were bolted together top and bottom with short pieces of steel. Not only were the base tabs used to fasten it to the pallet, U-shaped brackets padded with foam went over the base in 4 places and were bolted down. The bench was wrapped in bubble wrap and the two cross pieces were wrapped in foam. The next two are assembled in my garage. Unwrapping, moving, and assembly took about 30 minutes with the help of an eleven year old. For scale, it is standing atop two 4X6 foot stall mats. Also visible are the new mounting tabs in case it should become necessary to bolt it down. The chinning bar is high enough to kip on, but low enough to easily reach without jumping. I am 5' 10". There are rubber pieces on each weight horn to keep weights from banging the frames. 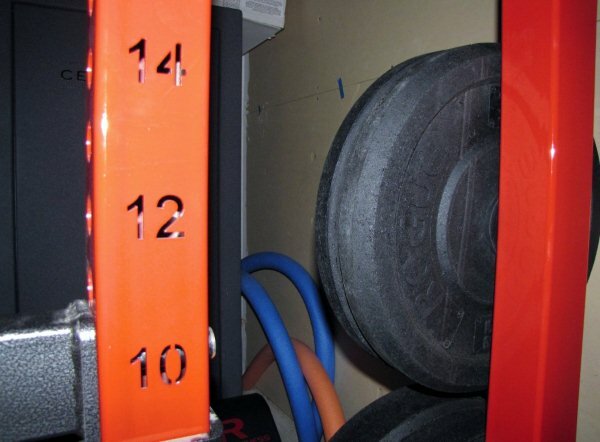 The safety spotters extend 24 inches and seem to be of heavier steel than the rest of the rack. The bench is 19" tall and 10" wide. It is EXTREMELY stable. The laser cut numbers are a very nice addition.